Depart WREXHAM 9am. Arrive MONMOUTH 7pm. Day 1 - Thurs 2/5 - The Welsh Border Adventure. The 2019 event commences from the Welsh border town of Wrexham, in north east Wales. 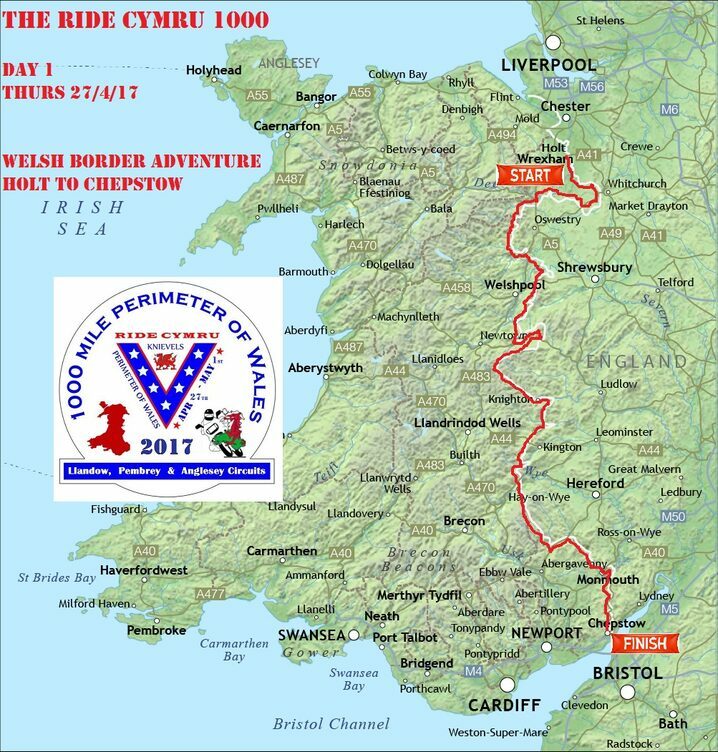 We meet in the town centre on High Street and depart 9am towards the border with England to commence our Perimeter of Wales route. PLEASE ARRIVE NO LATER THAN 8-30AM WITH A FULL TANK OF FUEL. Our first stop will be at Chirk for a quick coffee stop at 10am. The next stop will be 1pm at the border town of Churchstoke where we have our lunch stop at a café & fuel station. We have a later 4-30pm brief coffee stop at Hay-On-Wye before we traverse the Black Mountains. This route is a test of endurance.. This day is an E-P-I-C route, please be prepared.. Any ideas that this will be an easy ride around a small country will soon be dismissed.. 10hrs motorcycling to Monmouth on a 'unique' route which hugs the Welsh border throughout... 260 miles and ...only 40 of those on A Roads, a minimum 2hrs motorcycling between stops, day 1 is a tough cookie.. Most types of bike has done this event but day 1 is more adventure bike happy. We have had cruisers and sports bike do day 1 - it is doable - but it can be tough going. 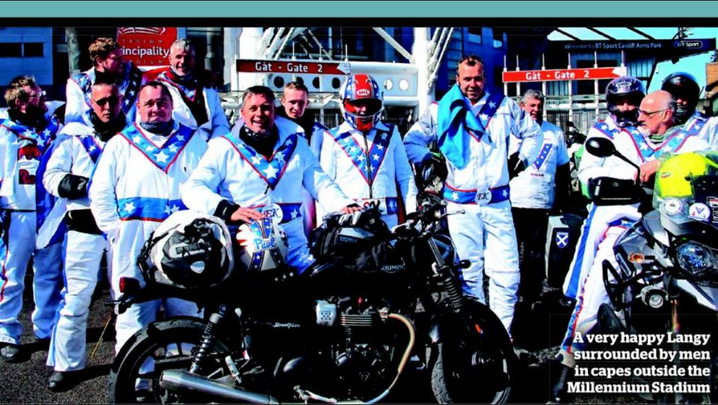 HOWEVER on RIDE Cymru 2019 we have 'Evel Route 2 Options' meaning ALL styles of bike and rider levels can opt for a more direct route to avoid the twisty testing sections..
We reach Monmouth at around 7pm, and day 1 of the event will end on the High Street and we shall refuel ready for the following day. Our suggested night stop is at the Premier Inn, Monmouth. You can stop anywhere you like for B&B or camping, just ensure you return to Monmouth town centre before 9am next morning.